This cookbook was generously provided by Artscroll. The review, opinions expressed and photographs below are completely my own. We're halfway through Pesach 2018 and I can’t believe it! This year’s Sedarim are behind us and Chol HaMoed outings are all but fond memories! It’s back to the kitchen now, with preparation for the second days well under way! It’s easy to get overwhelmed when it comes to Pesach. Between all of the necessary cleaning, cooking and logistics of travelling, or welcoming friends and family from near and far, taking a deep breath and remembering the why helps to keep me in check. I strive to stay as happy and calm as possible throughout all of the preparation, which is not always an easy feat - for instance, when the kitchen still has to be turned over, which means you haven’t started cooking yet and everyone else is posting photos of their stocked freezers and oh there goes your two year old with a granola bar in to a room that he has proudly just labelled “Cleaned For Pesach”... just me? Okay… Moving on! I want my boys to look forward to Pesach, I don’t want the word to elicit sighs and images of mad cleaning and scrubbing and missing their favourite foods. I want them to be excited about the preparation, to see the joy and mitzvah in it and to look forward to the meals. I may be asking a lot? With a healthy helping of preparation, perspective and time management I’ve been able to achieve this the past few years. This year I was more nervous given that it was the first year that both boys were in school full days and I was working 40-hour weeks while my husband also worked full time. Previously, when I was home with my boys, I had cleaned here and there throughout the day over the course of a month. This year I had Sundays and evenings after long days, at most. We made it work though - with a cleaning schedule broken down into manageable and realistic goals and learning to be more purposeful in my cleaning - sticking to what was necessary, rather than taking the opportunity to clean out all of the closets and “spring clean”. When it came to menu creation, I looked back on all the menus and notes I save year to year in a little recipe box and tried to keep a good balance of past favourites and new recipes to infuse a little extra creativity! This year I added a taste of Pesach to our weekly dinner menu a couple of weeks ago, to gauge reactions. Having just received A Taste of Pesach 2, I was eager to try it out well before the kitchen was turned over and the grocery shopping done! With this being one of the busiest seasons of the year, I’m taking a slighting different approach to my review, and sharing a quick overview! Each minute during this yuntif - whether to prepare, enjoy time with family, or take a deep breath, is so immensely valuable, that I want to contribute both my perspective on this great book but also do so briefly so you can get back to doing all you need to! So here it goes! A taste of what I think! Upon first glance, there was no mistaking it’s simplicity, crisp and clear layout, and easy to navigate recipes. The ingredients are highlighted on each page, the directions are broken into simple, numbered steps and the designation of meat/ dairy/ pareve is clear, as is what the recipe yields (so important when cooking for large groups!). The notes are short, concise and give you just enough information to add a personal element to the recipe and assure you that it’s well loved and more than worth trying out! There is something for everyone’s taste. With 110 recipes, there is no shortage of creativity and variety! The recipes appear as if they require a ton of effort, but reading through the steps, you’ll be amazed at just how simple they are! The majority of recipes have less than 5 steps! The nature of their simplicity in no way compromises their quality and presentation of the final results. It’s a win-win, stunning dishes without having to spend days in the kitchen cooking! Some examples include potato knishes, spinach nests, gnocchi and even a recipe titled, “Brisket in a Bag” (p.141)! Speaking of presentation, the very first chapter of the book is entitled “Plate It!” The authors state, “When I don’t want to invest too much energy in cooking, I dress up my plates so that my plain old food looks beautiful”. Umm...YES! Better yet she continues on to explain that she uses items she already has to achieve this! So to summarize, there’s an entire section dedicated to plating everything from gefilte fish to salads, crepes, soups and desserts, with items you already have to create dishes that are simple yet stunning! There’s even a tutorial on brushstrokes to really elevate your presentation! Other thoughtful additions include: notes helping to explain how to plate the recipe as done so in the accompanying photo (of which there is one per recipe! ), tips for the diet-conscious and tips on how to cut down on prep time. As mentioned, there is one photo per recipe and it’s a fair representation of what to expect, which is so important! Often, I’ll make something and look back at the picture in sheer confusion of how exactly what I made was supposed to look like what was photographed? Here the photos are accurate, clear and when there is a little extra added, there are tips to help you achieve that as well! The recipes themselves are current, flavourful and varied enough that there’s something for everyone! A few favourites include, Potato Stuffed Eggplant (p. 33), Cafe Salad (p. 81), Honey-Balsamic Mushroom Salad (p.91), Mushroom or Broccoli Quiche (p. 173) and Squash Mushroom Kugel (p. 177). There’s also Moroccan Fish, Osso Bucco, Chicken Chow Mein and so much more to add creativity and flair to your menu! The recipes are all non-gebrokts with a section at the back comprised of a handful of gebrokts recipes! This is an ideal addition to an Pesach cookbook collection and even more so if you’re gluten-free throughout the year! Easily your new go-to! 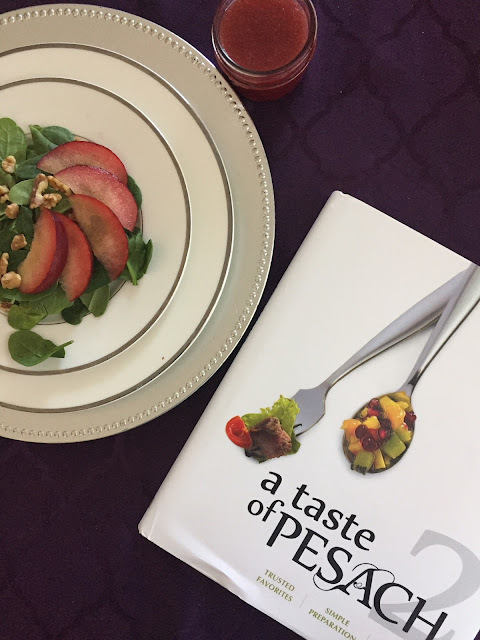 Overall, I appreciate so many different aspects of this book and how it contributes to a tasteful, simplified and delicious Pesach menu planning and cooking process! If you’re looking to treat yourself for second days after so much preparation already, or need to refresh your menu after so many meals, this cookbook is a great idea! It’s stunning in its simplicity and a wonderful resource! 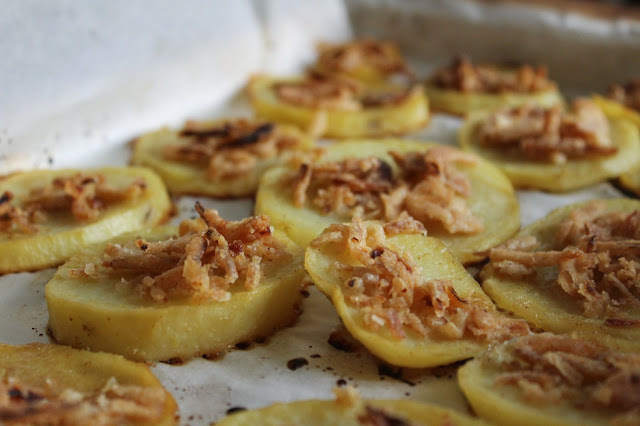 I’m excited to share one recipe with you (with permission) to help add some green and a light touch to meals that tend to be so heavy (so many potatoes!). I find it equally amazing and hilarious that my new favourite dishes in Toronto happen to be salads from two different restaurants - this coming from the person who would be happy living on chocolate chip cookies and donuts! When I saw there was a recipe for a Cafe Salad I knew it was the first thing I wanted to try! 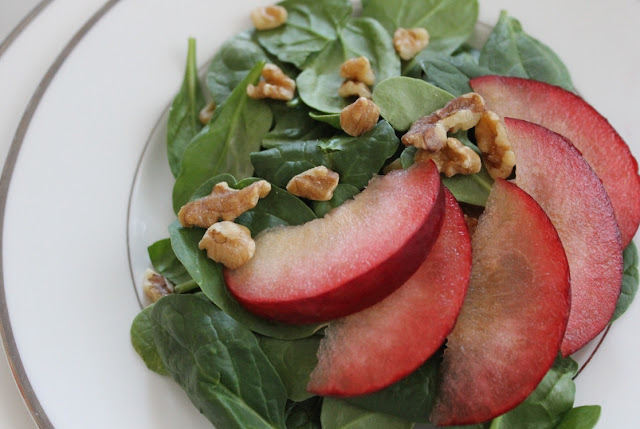 I liked the combination of spinach, with the sweetness of the plums and walnuts and tart dressing. Here’s a simple but beautiful contribution to your table! Cafe Salad (Taste of Pesach 2, p. 81, Artscroll 2018). Arrange the salad ingredients on individual plates or a platter. 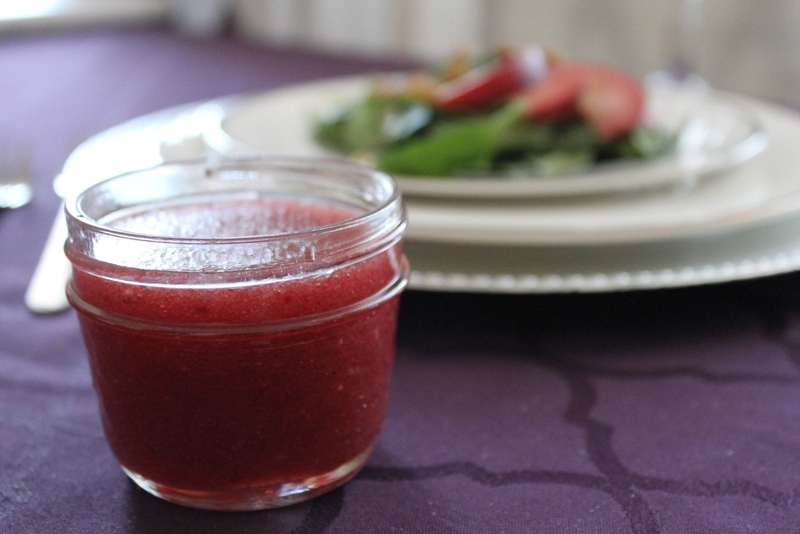 Prepare the dressing: Place dressing ingredients into a tall container; blend with an immersion blender. Drizzle dressing over salad just before serving. This cookbook was generously provided by Sterling Epicure. The review and opinions expressed below are completely my own. Beginning last Spring, we made a determined effort to start eating better. This goal took shape in a variety of ways, from actually creating a weekly menu (instead of getting home after a long day and resorting to easy snacks and frozen options) as well as really paying attention to portions. When I heard that Paula Shoyer, The Kosher Baker, was coming out with a healthy cookbook, I was immediately eager for the release date! While we’ve found ways to be creative with sides and mains, dessert has remained a challenge and knowing Paula was releasing The Healthy Jewish Kitchen, elicited much excitement! Throughout the book, Paula uses natural ingredients with a contemporary spin. It’s not about adhering to one type of diet or another, it’s about wellness and creating a healthy kitchen. There’s no pressure and as Paula herself says, “this book is a way for you to start eating better.” I was personally happy to read that she still enjoys baked goods and restaurants on her travels and isn’t preaching ridding our menus of all treats! Rather, she stresses that “good nutrition is all about balance and finding a way to introduce into your diet more and more healthful food as often as possible.” Yes, you’ll still find sugar and flour in these recipes, but it was Paula’s goal to avoid sweeteners or anything artificial and when called for, use less than 1 cup of sugar or honey where possible. It’s a new experience to open up a kosher cookbook and not find puff pastry, margarine, stocks and jarred sauces! The recipes within, from ingredients to prep, truly reflect and embody the title of the book and guide you on your way to creating and maintaining a Healthy Jewish Kitchen! The book is comprised of such a great variety, that there really is something for everyone! There are plenty of Gluten Free (and Pesach-friendly) recipes, as well as, Dairy Free and Vegan options, allowing this cookbook to appeal to a wide array of diets and dietary restrictions. On that note, the recipes also reflect Sephardic and Ashkenazi customs, as well as those of American and International cultures. This sounds like a lot to have in one book, but it’s done thoughtfully and well! You’ll find recipes for Dal Curry (page 76), Feijoada (Brazilian Chulent with Collard Greens and Farofa) (page 58), Pasta Siciliana (page 65) and more! There are quite a few considerate touches here and there that help to make creating a healthy kitchen and lifestyle that much more attainable. The section comprised of menu suggestions is a great way to easily find the perfect healthy dish to add to your meal planning, whether it be for a holiday, Shabbos or a casual BBQ! Even picking just one option from her suggestions - swapping out a dip or side for a healthier version, is a great way to approach these new eating habits in a more accessible way. I’m not ready to radically change my Thanksgiving menu, but maybe this year, trading the fresh buns for a fresh Rosemary Focaccia instead seems doable (and delicious!). There’s also information regarding meal planning and, truthfully, on our journey to healthier eating, I personally feel that meal planning has played the most significant role. When you plan ahead and buy ingredients you need to cook specific (healthier) meals, the likelihood of having less healthy options available significantly decreases. 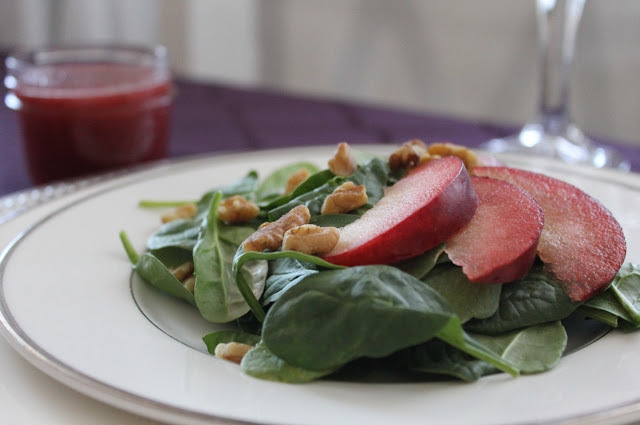 The recipes themselves are approachable and can easily be substituted into your regular menus to make the transition to eating better a little easier. They're recipes you’re familiar with so the leap isn’t as great! Healthy eating doesn’t have to mean veggies and bland main dishes. There’s Coq au Vin Blanc (page 51), Brisket Bourguignon (page 56), Fish Tacos with Cilantro Lime Rice (page 68) and more! Next for sure on my list to make is the French Onion Soup with Flanken (page 38)! The Desserts and Breads (BREADS!) section blew me away! Caramelized Apple Strudel (page 123), 3 different types of Challah, scones, rugelach and more! Everything is accessible and with the swapping in of healthier ingredients, they are all great additions to top off a great meal! And when it comes to the ingredients themselves, they’re all readily available at your local supermarket and are fresh, and as natural and unprocessed as possible! If you’re hesitant about stocking your pantry with new ingredients you’re not sure you’re ready to commit to, there are plenty of options for substitutions or alternatives. For instance, there are a variety of oils used within different recipes, but more often than not options to use alternatives are available, so you don’t need to stock up on a ton of different varieties right away to successfully cook through the book. The little boxes added to the bottom of each page add additional information from background on ingredients (e.g. a history of sumac added to the Chopped Salad with Lemon and Sumac Dressing recipe) or food prep instructions (chopping onions, cleaning brussel sprouts etc!) and are also relevant to recipes elsewhere! Instructions are broken down into manageable, easy steps. The pages are very clear and straightforward. I love the addition of the “Prep Time,” “Cook Time,” “Advance Prep,” and “Equipment” designations that proceed each recipe, providing a quick summary of what lays ahead and what you need to have on hand, before even having to read through the recipe. It’s a thoughtful and significant addition! The short intro to each recipe provides background and a personalised touch while not being distracting or taking precedence away from the rest of the page and the recipe itself. The servings and dietary designation (gluten free, etc.) is also available clearly and from the beginning, right below the title. Additionally, the photography is crisp and clear, showcasing the dishes beautifully, realistically and in a manner that is attainable to the average home cook! Naturally when I started looking for recipes to test out, the dessert section is where I turned to first. In other healthy cookbooks, the dessert section is frequently lacking. 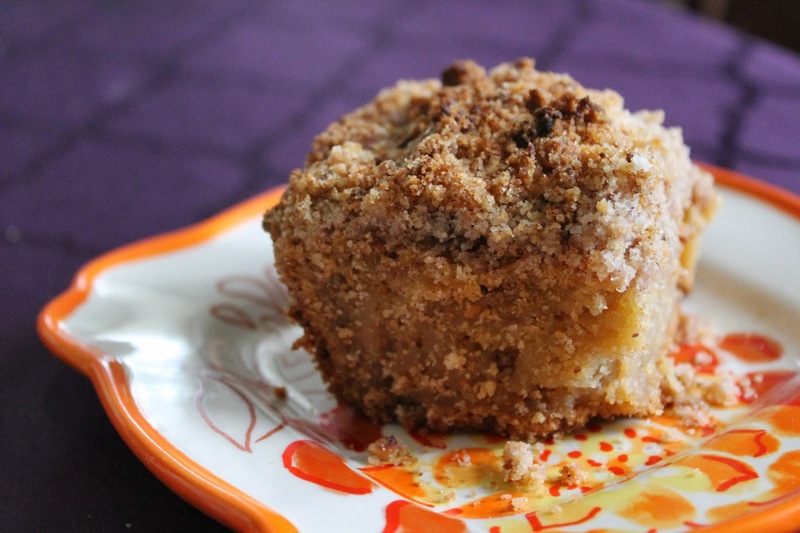 In The Healthy Jewish Kitchen, you’re presented with recipes for desserts you want to eat, that are still sweet and still considered treats! 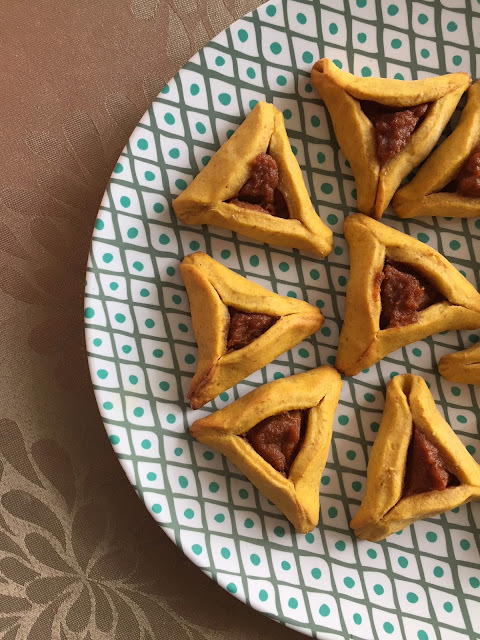 With Purim quickly approaching, I couldn’t resist testing out the Pumpkin Hamantashen (page 110). 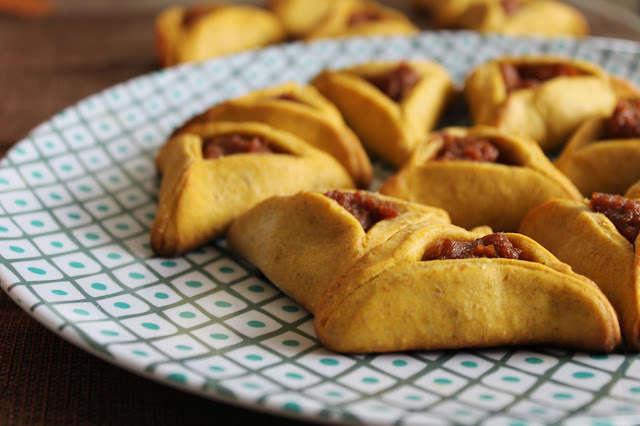 It’s honestly the best Hamantashen dough I’ve ever made! The consistency was incredible and it barely required any effort to assemble and hold together. For the first time ever, I took a tray of Hamantashen out of the oven and not a single one had opened! The flavour was slightly more savoury than sweet, resembling a mini pumpkin pie in a perfect dough also bearing a subtle pumpkin flavour. It’s an ideal cross between crunchy and soft and holds together beautifully, not crumbling apart at all! My husband, who isn’t the biggest fan of pumpkin, even enjoyed it, saying he wouldn’t mind them at our seudah!! Even my youngest tried one and responded with a, “yummy!” before resuming his search for the chocolate filled ones he’s become accustomed to! 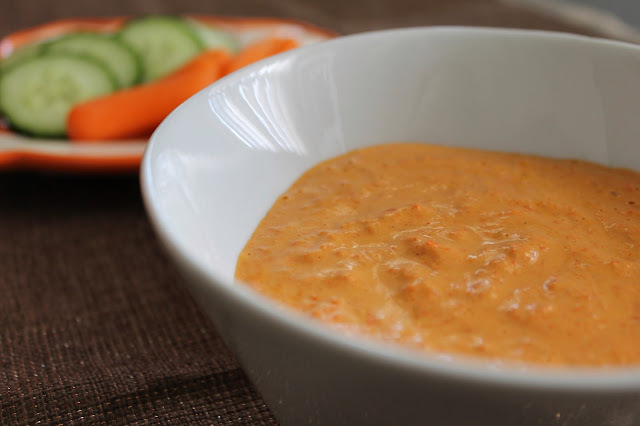 We also tried the Crudites With Red Pepper Tahini (page 5). It was very easy to make and the flavours blended together seamlessly, really complementing each other well. It would be a great fit with our other Shabbos dips and appetizers, and I could also easily include it in a lunch or snack menu for the week with fresh veggies and whole wheat crackers! I love that the recipes are straightforward enough that you feel motivated to try them out, and versatile enough that they can be added to your menu planning for so many different meals, that it helps to make eating better throughout the day that much more attainable! Overall, it's a really great book if you're looking to start creating a healthier kitchen and home stocked with fresh ingredients, with dishes that are contemporary and so full of flavour and creativity that you're inspired to maintain a lifestyle geared towards wellness and nutrition! As a special treat, Sterling Epicure has generously given us one copy to giveaway! In order to enter, visit our Instagram page and check out the giveaway post! For a bonus entry, leave a comment sharing your favourite healthy eating tip! The contest is open to US entrants (the cookbook will only be shipped to a US address). The contest will run from Monday, February 26th to Thursday, March 1st, 2018 at 8:00PM EST, when 1 (one) winner will be chosen. No purchase necessary. Paula Shoyer's The Healthy Jewish Kitchen will be shipped directly to the US address, Itsy Bitsy Balebusta assumes no responsibility for shipping. The winner will have 24 hours to respond before there is a re-draw for the prize. Good luck! In a large bowl, use an electric mixer to mix together the eggs, sugar, oil, pumpkin puree, and vanilla and mix well. Add the cinnamon, nutmeg, all-purpose flour, whole-wheat flour, and salt and mix until the dough comes together. Form the dough into a round, then cover it with plastic wrap and place it in the fridge for 1 hour or overnight to firm up. Prepare the filling. In a medium bowl, place the pumpkin puree, light brown sugar, cinnamon, maple syrup, and egg yolk and mix well. Cover and refrigerate until ready to roll out the dough. Preheat the oven to 375F (190C). Line 2 or 3 cookie sheets or jelly roll pans with parchment paper or silicone baking mats. Divide the dough in half. Cut off 2 pieces of parchment paper and sprinkle all-purpose flour on one. Place a dough half on top of the parchment paper, then sprinkle flour on top of the dough. Place the second piece of parchment paper on top of the dough and, using a rolling pin, roll over the top of the parchment paper. Roll out the dough until it is about ¼ inch (6mm) thick. After every few rolls, peel back the top parchment and sprinkle a little more flour on the dough. Once or twice, flip over the parchment-dough “package” and peel off the bottom parchment. Sprinkle a little flour on top of the dough, place the parchment back on top, and then flip it over. Lift off the top parchment. Using a small drinking glass or a round cookie cutter, cut the dough into circles. Using a long metal flat-blade spatula to lift the cookie circles and place them on a piece of parchment paper sprinkled with a little flour. Place ¾ to 1 teaspoon of filling in the center of each dough circle, and then fold in the three sides toward the middle to form a triangle, leaving a small opening in the center. Pinch the three sides together very tightly. Place the cookies on the prepared baking sheets. Repeat the process with the remaining dough. Roll and cut any extra dough scraps, making sure to sprinkle a little flour under and over the dough before you roll it out. Bake the cookies for 14 minutes, or until they are lightly browned. These cookies taste best when they are crunchy. Slide the parchment and cookies onto wire cooling racks. Last year I tried my best to reintroduce enjoyable and relaxing activities into my schedule. With two- and three-year-old boys and what seems like constant appointments, therapies, and schedules to attend to, it felt frivolous. The infamous mom guilt reared its ugly head and was strong. For years, a shower and sneaking a chocolate from the freezer were my opportunities for a deep breath (I’m not saying that to play the martyr card or ask for pity, it was my reality and I was exhausted). When 2017 came around, I decided to, very slowly, reintroduce ways to recharge. Two big ones included date nights (more on that in an upcoming post!) and reading again! I know it sounds a little odd, but reading has truly always been a passion of mine. From preschool days, sitting on my bed sounding out words using Hooked On Phonics, to never leaving the house without a book well into my teenage years, it all eventually led to an Honours degree in English Lit! Reading has been a comfort, an escape and the opportunity to learn so much about the world and myself in the process. Having two babies a little over fifteen months apart didn’t leave a whole lot of time for picking up a book. And truthfully, it wasn’t something I even considered. It took my husband and I longer than we expected to get to our wedding day and then under a year later we were blessed with our son and I completely immersed myself in being a Mommy. There was colic and laughter, sleepless nights and beaming smiles, and hobbies were replaced with everything baby and then everything baby again! Now that the boys are a little bit older and playing more independently, and with each other too (my favourite thing ever!!!) it’s still surreal that I can sit in the family room with them and pick up a book that isn’t of the board variety! My husband introduced me to GoodReads and the idea of the Reading Challenge was enticing (by the way, other than using it as a resource, I am in no way affiliated with the site!). I chose 25 books since that would work out to one book every two weeks or so, and I felt that was the most realistic goal I could set. I still can’t believe I managed 34 (although having had surgery in February and being stuck in bed for a bit helped boost my total). I started reading on the bus on my way into work, in the evenings right before bed, and on Shabbos afternoons while the boys played or napped! At first I was a little embarrassed to share my list above, given how for years Chaucer, Emerson, Beckett and the like were what I was reading, but this is what I enjoyed and these are the story-lines I escaped to here and there throughout the year! There are a lot written by the same author, since I didn’t put much research into which books to pick up and would just search for more of the same author if I enjoyed a certain book! Otherwise, books were chosen by what was easiest to grab in the library before my toddler decided it was time to leave! Here are a few of my favourite books of 2017! My Not So Perfect Life by Sophie Kinsella - I love the Shopaholic series, but like the Undomestic Goddess, this break from the series was also fantastic! It was relevant with just that little bit of added adventure and suspension of belief to make it a great read to get lost in! It really shows how easy it is to curate your feed and create a whole other world outside of your reality, with a few creative photos on your Insta feed! The Choices We Make by Karma Brown - This was the first book I read by Karma Brown and immediately requested her others from the library right away. Her writing is phenomenal and the characters truly come to life as you move from one chapter to the next. The story line is heavy and the tears flowed easily, given that the emotion packed into each chapter and the power of her writing were so incredible. Having read two others after this, it’s my favourite of her books! Here the story of two friends and families become intertwined as one friend helps the other realise a dream. The shocking twists and turns make it impossible to put this down. Eleanor Oliphant is Completely Fine by Gail Honeyman - This was the first book I read in almost one sitting in 2017. I couldn’t put it down! The prose, the voice of the main character, how she draws you in with her quirky and innocent observations, had me hooked right away! Chasing Slow by Erin Loechner - There are lines that Erin wrote that hit so close to home, I could have written them myself. Her words brought comfort, understanding, a sensitivity and a fresh perspective on really thinking about your priorities and shifting your perspective to what matters most. It’s a combination of autobiography and self-help, and given that this is a kosher food blog, I do want to mention that there is a religious (Christian) element to it as well, as well as the next book I'll mention! A really great read and many quotes I still go back to! And on that note, I also absolutely loved Grace Not Perfection by Emily Ley! I’ll preempt this by saying that I am a huge fan of Emily Ley! After years of wanting one, I finally got myself a Simplified Planner for my birthday last year and I love, love, love it! I read this book on the bus the first couple of weeks after having returned to work. Having been a stay-at-home Mom since the day my oldest was born, it was a hard adjustment for me, filled with so many different emotions. Reading this book at the beginning of my day, after having left the house to babies who were still sleeping and not being the one there for breakfast for the first time, was like having a comforting friend with me! So much truth in this book and, again, so many quotes that I bookmarked and look back on frequently. I'm currently reading her recent book A Simplified Life and it's fantastic! Let me know if you’ve read any and what you thought of them! Any suggestions for my 2018 list? Real Life can mean different things to different people. Just 6 months ago, my definition of real life meant being a stay at home Mom with two toddlers attached to me basically all of the time, with the exception of a short afternoon preschool program for my oldest (which required a 20-minute walk with both boys, come rain or shine). Today, real life looks like working full time, while both boys are attending full-day preschool and after-school therapeutic programs. Regardless of how our routines and schedules have changed, one thing remains the same - it always seems like every minute of the day is accounted for and any spare minute here or there is valued beyond words. When I read the title of Miriam Pascal’s latest cookbook, I couldn’t help but hope that the pages within really, truly reflected the promise of the title. Real Life Kosher Cooking, just seemed too good to be true. The best way I could imagine putting it to the test, was to incorporate it into our weekly menu planning - a week that looks like two parents working full time and two little boys spending 30+ hours a week in school with therapeutic supports as well as after school programming. Four schedules and just as many routines. Backpacks to pack, clothes to wash and a home to maintain. Cuddles, playing and outings. And y’know some sleep here and there! They were all great but the omelette was by far my favourite! And with my husband prepping the potatoes before he left the house, the whole meal was able to be made quickly, after we all got home! My husband especially loved the Pecan Pie Bundt Cake! He isn't usually so enthusiastic about bundt cakes, but he remarked a few times over Shabbos how much he loved it! 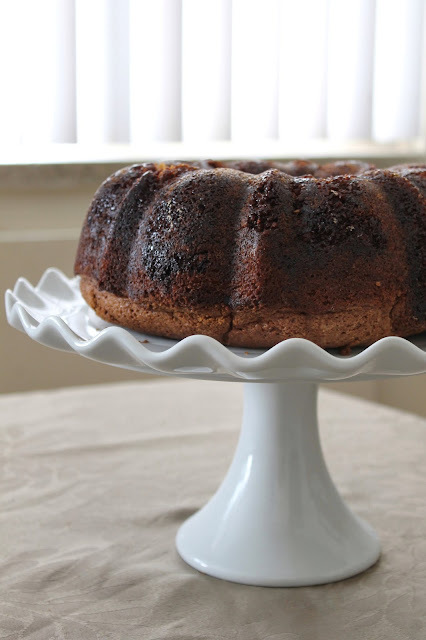 It was so easy to make, and the title really captures the flavour perfectly - it actually takes like a pecan pie, in all it's sticky, deliciousness, but in the form of a bundt cake! Just make sure you super prep the pan so that it comes out in one piece! I love that the recipes in this book do not compromise on flavour or quality, while still ensuring they’re approachable enough to be made in a real life, kosher kitchen, with all the demands of a daily schedule. The variety is also worth noting - whether you’re looking for something for a weekday dinner, an addition to your Shabbos menu or even a great dessert to gift to a friend, you’ll find it all. We really appreciated the variety of chicken options, given it’s a staple in our home and our regular recipes tend to get a bit repetitive. While I’ve yet to make them, the first two recipes of the book had me hooked right away - Churro Waffles & Healthy Oatmeal Pumpkin Pancakes! Yesss! Having had success with so many of Miriam’s recipes from her blog, OvertimeCook.com, I approached the book confident in her directions and the combinations of flavours she presented, and I definitely wasn’t disappointed! The style of the book is very similar to Perfect for Pesach, which Miriam also photographed! It's very straightforward and the layout makes it very easy to navigate. Additions to recipes such as, Notes, Variation, Plan Ahead and more, give you the opportunity to take the recipes to new levels and shape them to accommodate your schedule. The only thing I found missing was an estimation of how much time each recipe takes. A quick overview of the recipe itself provides an idea, but it's always nice to have an estimate as well. I do like how the different sections of preparation are highlighted frequently within the directions for different recipes. When a dressing for instance is being prepared, it's highlighted to show you you're working on a different step, instead of it all being jumbled together. This is also helpful if you want to work on a specific aspect of the recipe first! There are also a variety of menus interspersed throughout the cookbook as well (Yom Tov Lunch, Friday Night With Guests etc). I love the ideas and combination of recipes included, the only downside is that they're presented at the beginning of each different chapter, and the first time I was slightly confused because I thought it was an index of the recipes in that chapter! Otherwise, it's another thoughtful, helpful addition! If you're familiar with Miriam's website OvertimeCook.com, you'll know that her food photography is incredible! The images you'll find in the cookbook are just as crisp, and enticing. I especially love that they're so real! They are presented simply and cleanly, highlighting the dishes and making the recipes the focal point without distraction. They also feel doable! You see the image and not only do you want to immediately make everything because it looks so appetizing, but you also truly feel like you can plate it the same way and that the presentation will have all of the wow factor without any of the intimidation! It's a great representation of how the book is accessible and truly geared for everyday kosher cooking in a real life, kosher kitchen! With a new year starting and all the hope for a fresh start, this book is an asset. Whether you're hoping to menu plan more consistently, eat out less and make quick and delicious meals at home, or simply change up your regular menu with options that are approachable and straightforward while still maintaining a wow factor result, Real Life Kosher Cooking is a great kitchen companion to get you through! As a special treat, Artscroll has generously given us one copy to giveaway! In order to enter, visit our Instagram page and check out the giveaway post! For a bonus entry, leave a comment sharing your favourite "real life" weekday dinner! The contest is open to US entrants (the cookbook will only be shipped to a US address). The contest will run from Monday January 8th, 2018 to Thursday January 11th, 2018 at 8:00PM EST, when 1 (one) winner will be chosen. No purchase necessary. Miriam Pascal's Real Life Kosher Cooking will be shipped directly to the US address, Itsy Bitsy Balebusta assumes no responsibility for shipping. The winner will have 24 hours to respond before there is a re-draw for the prize. Good luck! As another treat, here's the recipe for the Pecan Pie Bundt Cake that was such a hit here (reprinted with permission). Enjoy! Preheat oven to 350F. Coat a standard (12-cup) Bundt pan well with floured baking spray, be sure to coat the pan very well, as the cake will be sticky. Set aside. In a small bowl, mix together pecans, brown sugar, oil and corn syrup. Set aside. In the bowl of an electric mixer, on medium speed, beat together eggs, oil, sugars, vanilla, baking powder, baking soda, and salt until creamy. Turn mixer speed to low; add half the flour, followed by half the soy milk, then the remaining flour and remaining soy milk, beating each time until just combined. Pour about half the batter into the prepared Bundt pan. Top with the pecan mixture; add remaining batter. Bake for about 45 minutes, until a toothpick inserted into the cake comes out clean.